Perhaps it’s because spring is finally beginning to… well… spring, but we’ve just been feeling so bright and cheerful lately! We’re always lovers of very bright colours, but we just can’t help trying to make as many fun DIY projects and crafts as possible right now. 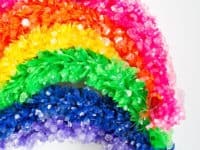 It’ll come as no surprise to you then that we’ve kind of been binging on fun rainbow themed crafts and then making as many as we possibly can! 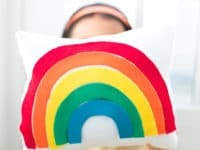 Just in case you’re as in love with the idea of making rainbow crafts as we are, here are 15 coolest rainbow DIY projects we’ve come across within our crazy obsession so far. 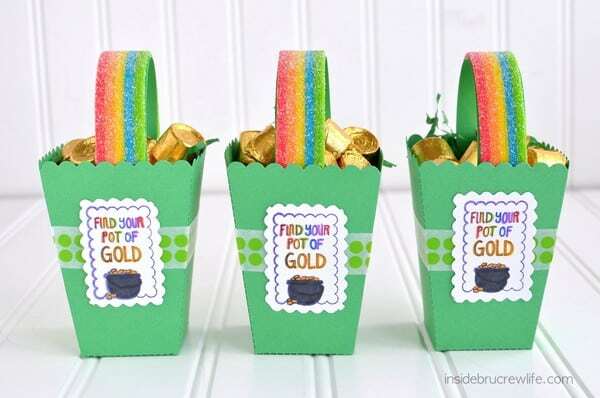 Okay, we understand that these particular rainbow candy crafts are a St Patrick’s Day themed project but if you ask us, there is no bad time of year to be gifting your friends and loved ones fun rainbow themed candy bags just because you appreciate them. 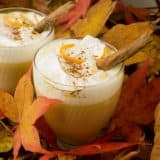 That’s why we still made these when they caught our eye on Happiness is Homemade! We just can’t get over how cute the rainbow jellybeans look arranged by colour. 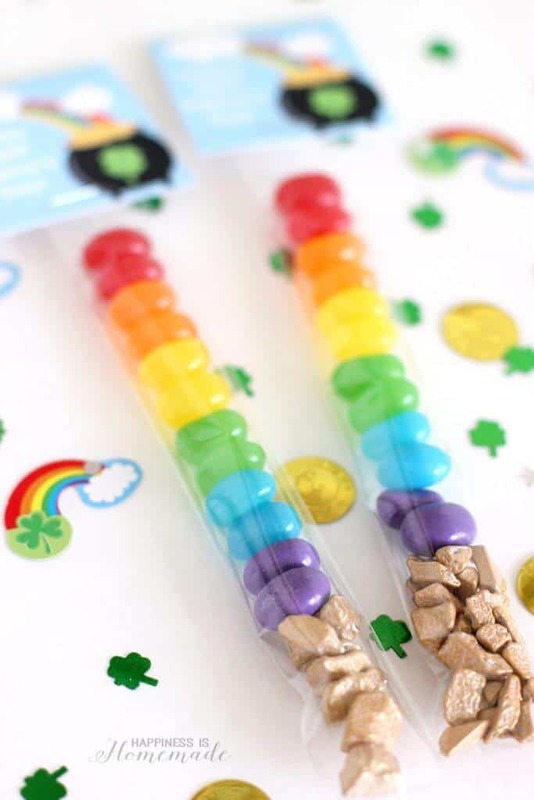 All right, we know that this one is St Patrick’s Day themed as well, but it’s not our fault that all the good rainbow candy projects centre around that day! 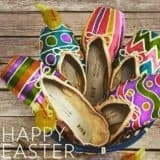 They’re just so cute that we can’t help making them anyways, particularly because our kids don’t know the difference and are just happy to receive candy and rainbows, especially in one place. That’s why we actually literally just made them these cute chocolate baskets with gummy rainbow handles last week. See how they’re done on Inside Bru Crew Life. 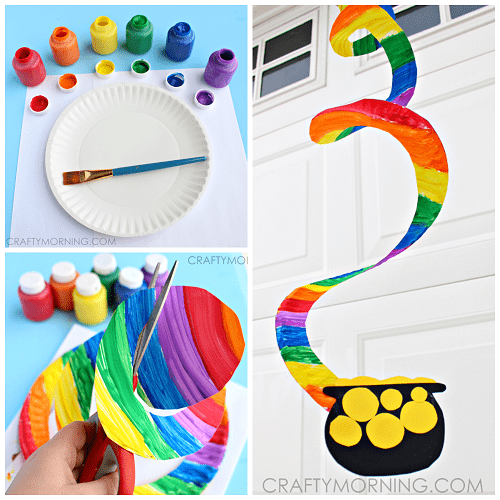 Are you so in love with the idea of rainbow crafting that you want to get your kids in on it too? 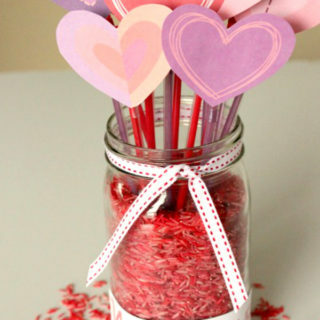 Then you’re going to need some colourful but very simple projects to get them started with! 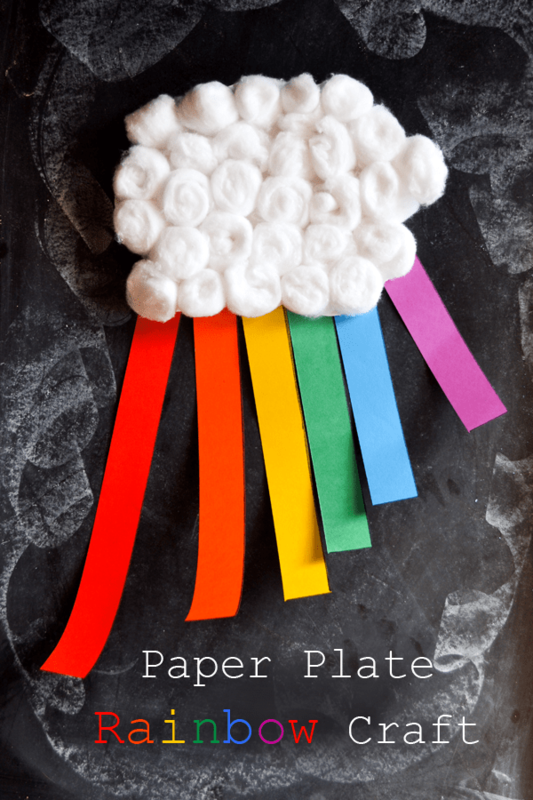 A Little Pinch of Perfect shows you how to make a cute, fluffy little cloud out of nice white cotton balls and then how to add brightly coloured strips of paper to look like a rainbow is raining down from the sky. 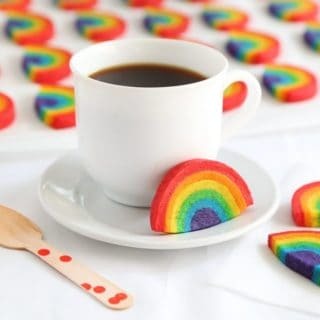 Perhaps your kids are such big fans of rainbows that you’re thinking of throwing them a rainbow themed birthday party? Well, we happen to think that’s one of the best birthday theme ideas we’ve ever heard! 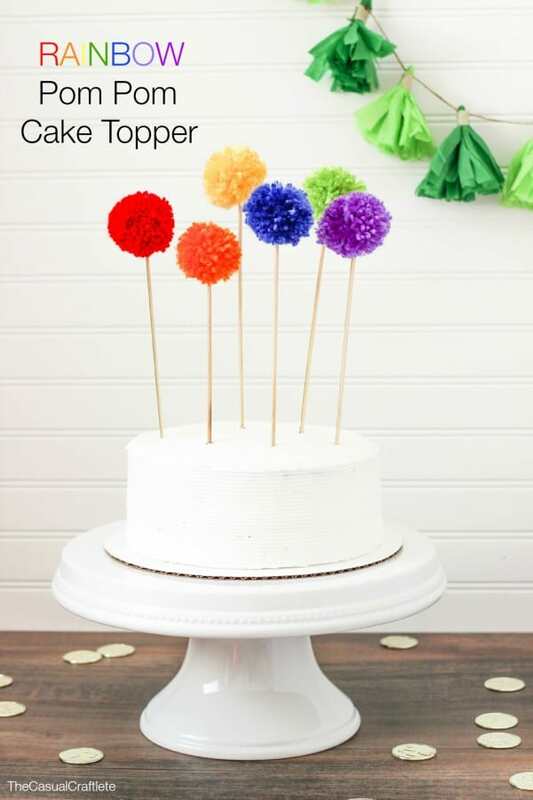 We also happen to think that this pom pom cake topper tutorial from The Casual Craftlete might be one of the cutest birthday craft ideas we’ve ever seen. Check out their tutorial to see how they made each little colorful pom pom and how they attached them to the skewer to be stuck in the cake. 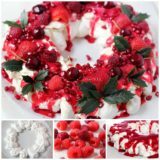 Did we really catch your eye when we started talking about food and candy themed projects that centred around rainbows because you know your kids are huge treat lovers, so those are the projects you think they’ll be the most enthusiast about? 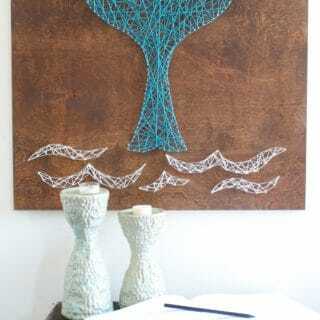 Then here’s another idea for a rainy “crafternoon”! 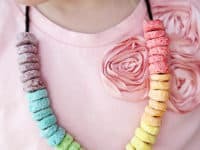 Grab a piece of string or yarn and the box of Froot Loops from the cupboard and make a cute rainbow necklace, just like Eighteen 25 did here. Have you ever made, or at least eaten, sugary rock candy that looks a bit like crystals, or those quartz stones that get all sparkly if you smash them open? 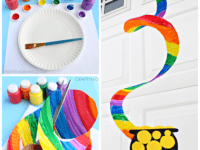 Then you are going to love the look of these neat fringy rainbow craft laid out on Hello Wonderful! They show you how to make those same sugar crystals but this time attached to pieces of plastic leighs from the dollar store, which is the part that adds the fun bright colours. 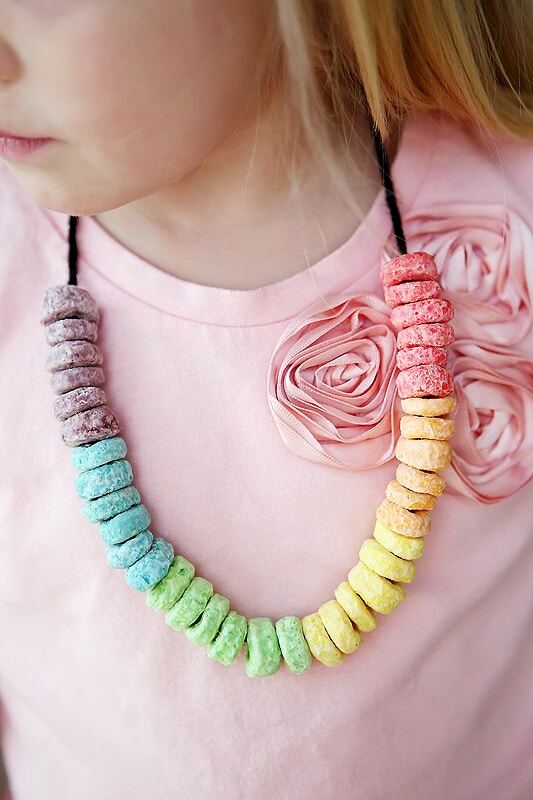 We’ve talked a little bit about rainbows, candy, and jewelry all in once place, but what if the idea of wearing Froot Loops around your neck doesn’t really appeal to you? 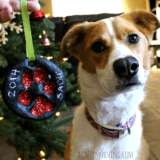 We just assume you’ll be the one wearing the necklace when your kids are done making it because that’s usually what happens in our house and we got a little tired of smelling like oranges and limes like the breakfast cereal. 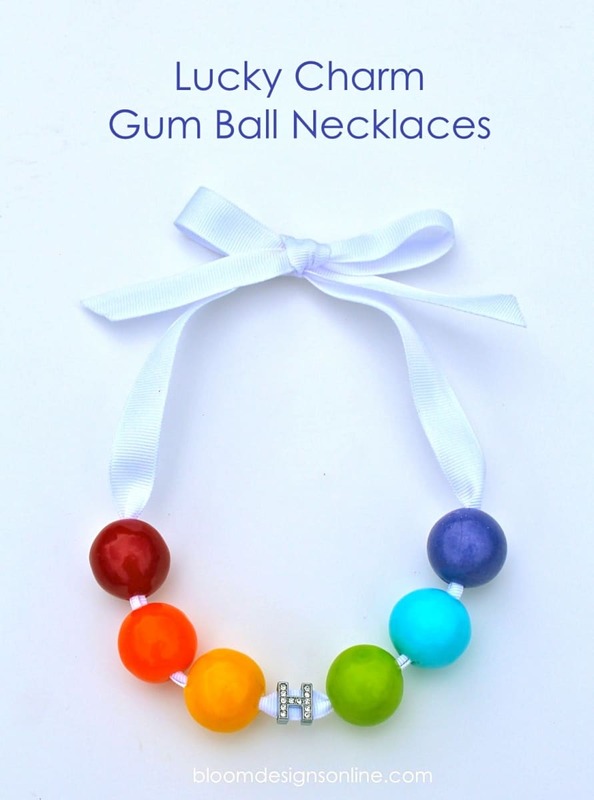 That’s why we thought this rainbow gum ball necklace craft from Bloom Designs Online was such a good idea! We can’t get over how cute it looks that they put a cute little bracelet charm right in the centre. 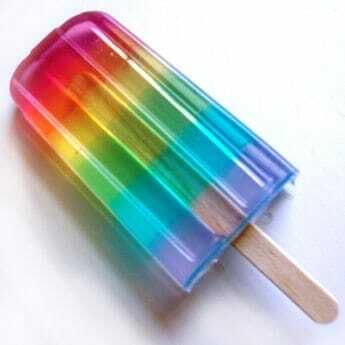 It’s rare that we find ourselves making a craft that we have to make sure doesn’t confuse our youngest kids into thinking it’s okay to eat when it isn’t, but this awesome looking rainbow soap that looks just like a sunny summertime popsicle might be the first one in a while! 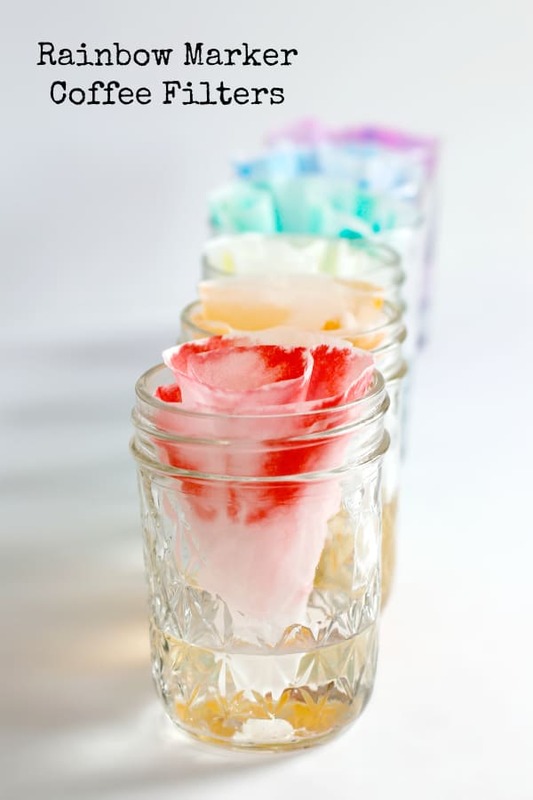 We’ve long been interested in DIY soap making and this project in particular falls right into the category of our current rainbow obsession, so we’re sure you can imagine how happy we were to find the tutorial on DIY Inspired! 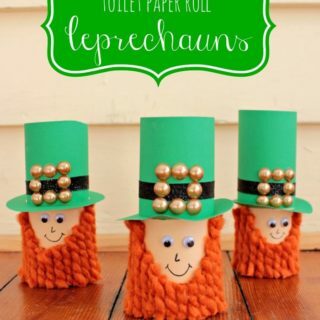 We know, we know, it’s another St Patrick’s Day craft. 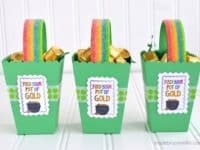 When we made these cute twirlers with our kids, however, we encouraged them to put whatever they wanted at the end of their rainbow painted plate swirl in place of a pot of hold and it was a lot of fun! 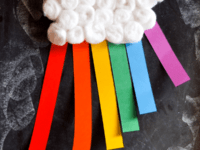 We followed Crafty Morning‘s tutorial when our kids were having a play date, so we got all kinds of fun shapes and objects at the end of our rainbows. One child made a cloud, another put a kitty cat frolicking in the sun, and one kid decided there was a dinosaur at the end of his rainbow. We didn’t ask any questions. Have you actually been scrolling through our list hoping to find a craft that, while still child friendly, is at least a little more advanced so that your children who are a little bit older might be more interested, rather than getting bored because it’s too easy? 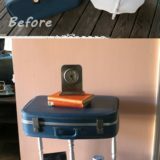 We’ve been keeping an eye out for projects around that age level too because our nine year old recently told us that the crafts we pick are “kids’ stuff”. 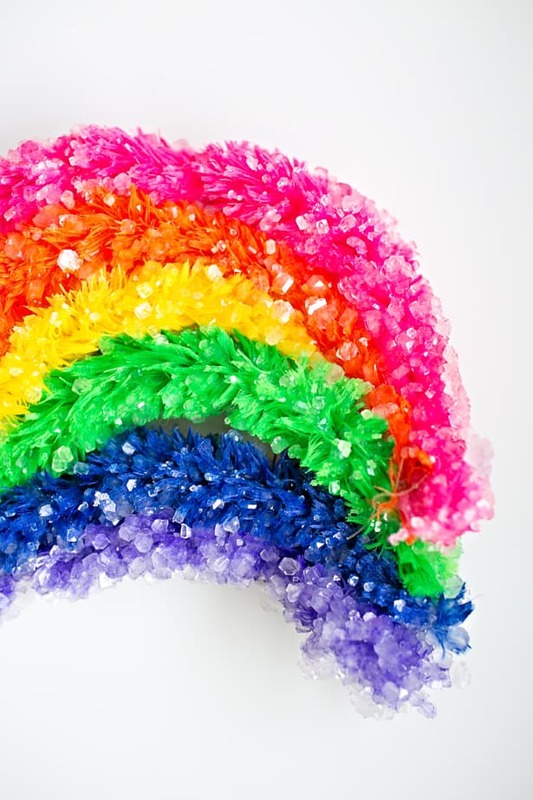 We were pretty pumped to find this particular rainbow craft, however, because it’s still bright and cheerful the way we want but it is, in the end, still mostly a cut and paste craft. It’s just that you’re cutting felt and gluing it onto a pillow! 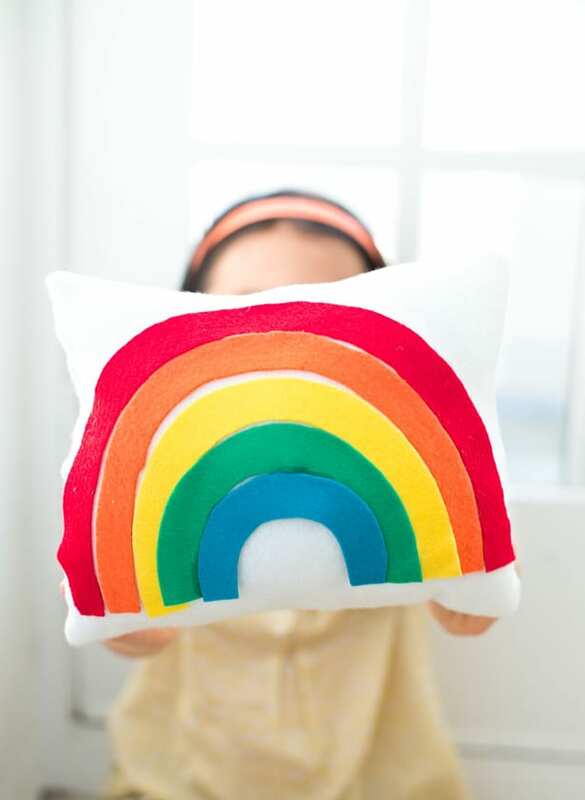 Get the full details for making this awesome pillow on Hello Wonderful. 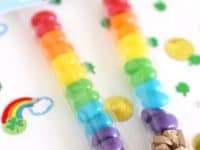 If you have kids anywhere within the age range of four for fourteen and they like to craft even half as much as you do, then you’re definitely already familiar with the rainbow loom trend. 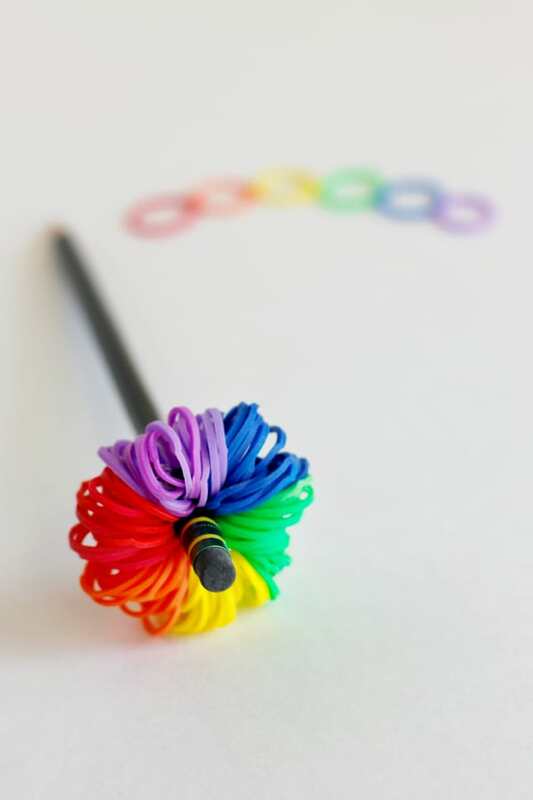 Well, our kids recently decided to take the whole rainbow loom idea very literally by making themselves a series of awesome looking rainbow pencil toppers and we thought the end results were great! Make and Takes shows you how it’s done, just in case you want to show your little ones how they’re made. 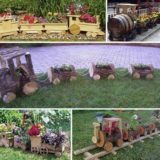 Our kids have always had a slight fascination with DIY projects that have anything even remotely resembling an experience about them. That’s why we were so happy to stumble across this cool coffee filter craft featured on Makes and Takes! They shwo you how to add marker ink to water in a glass an d then rest a coffee filter in the glass with its twisted tip in the ink-filled water, letting it absorb the colour until it looks like a water colour painting. If you do one in each colour of the rainbow, you’ve got a full colour spectrum by the end fo the day! 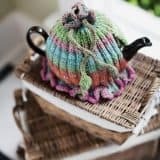 Were you very intrigued when we started talking about brightly coloured DIY crafts that resemble science fair projects but you just don’t think your little ones will be quite as impressed with the coffee filter idea as we were? 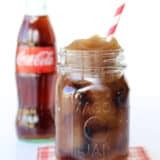 Well, no offence taken because we know we’re easy to please when it comes to neat projects, but we still have another idea for you to try in that one’s stead! 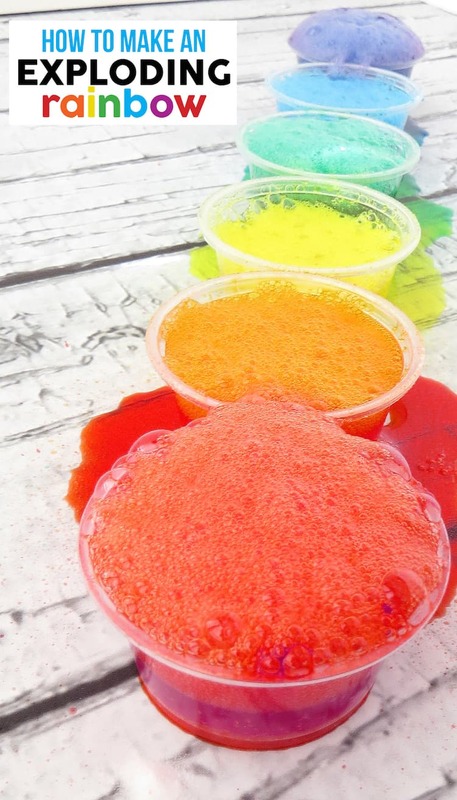 Check out how Smart Schoolhouse mixed very particular ingredients in six different colours to make an “exploding” rainbow that’s awesome to watch fizz and foam no matter how old or young you are! Just make sure to put a tarp down or consider making this one outside. Just as we said with the rainbow loom tutorial, we’re absolutely certain you already know what “slime” is if you had crafty kids of just about any age right now. 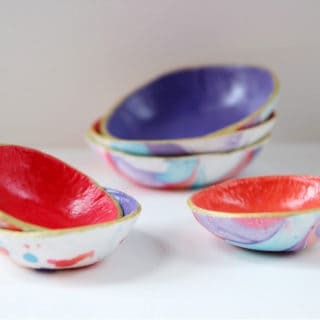 Slime has been all the rage for a while now and, to be honest, we’re not even the slightest bit mad because it’s such a cool project and it’s also completely customizable when it comes to colour and texture! 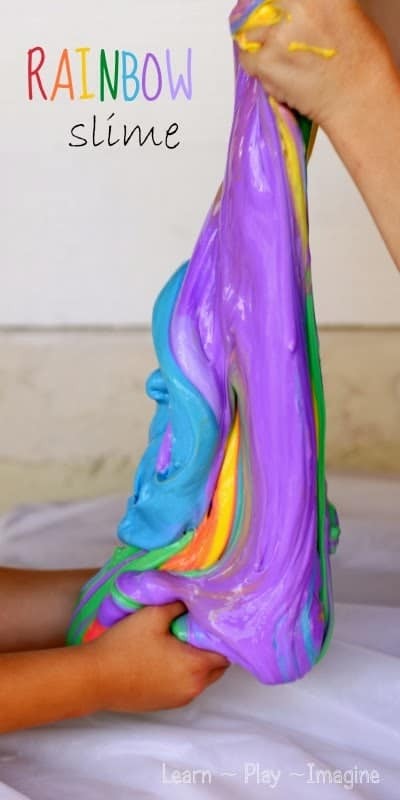 Naturally, this rainbow slime featured on Learn, Play, Imagine is our very favourite. 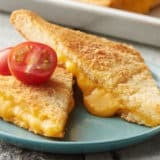 Check out their tutorial to learn how surprisingly easy it is to make! 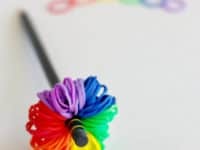 If you’re going to make an awesome rainbow craft with your kids, would you prefer that it actually be one they can get their hands into, preferably without accidentally dying their hands all kinds of colours while they’re at it? 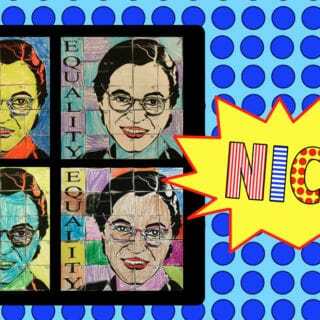 Then we think perhaps we might have found just the project for you! 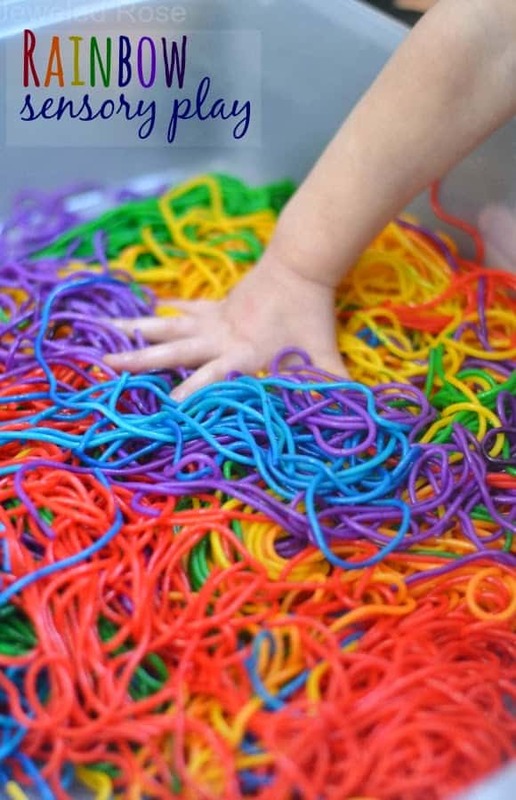 We’re not usually ones for wasting food, but we’re also huge advocates of sensory play, so we made an exception this time and created these rainbow noodles with our kids just to see the giddy looks on their faces when they saw the bright shades and felt the weird, cold texture. Find more information about this project on Play, Learn, Grow!